A Life Group is a great way to learn more about your faith and develop relationships with other women. 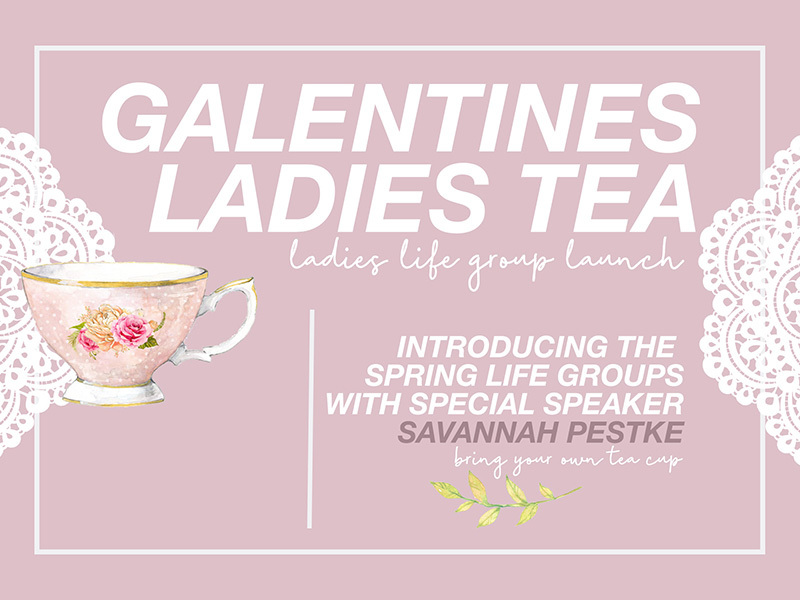 Join us for the Galentine’s Ladies Tea in the Cove on 2/24 from 3:00-5:00PM. All ladies are encouraged to bring their favorite teacup. This will be the introductory meeting to our Ladies Life Groups this semester. Savannah Pestke will be our special guest speaker.